Is the workers’ comp claim covered under the NC Workers’ Compensation Act? 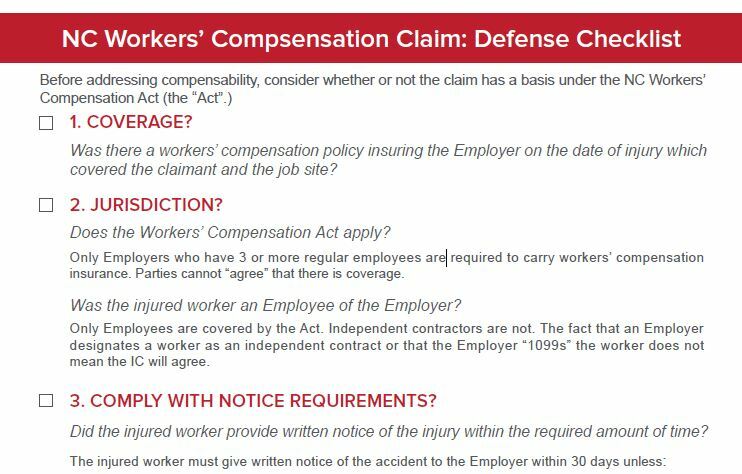 Before addressing compensability, use this checklist as a guide to consider whether or not the claim has a basis under the NC Workers’ Compensation Act. Use the form below to download. Enter your email below and we will send you the link to download this reference material. Thank you!